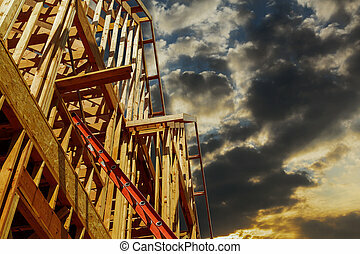 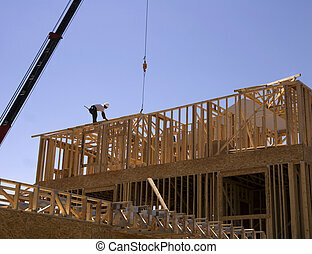 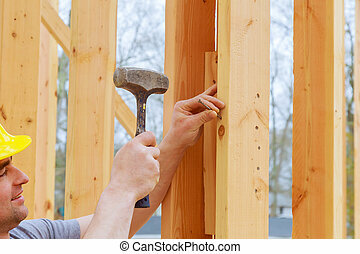 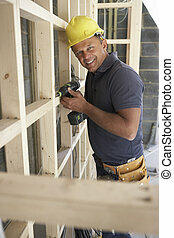 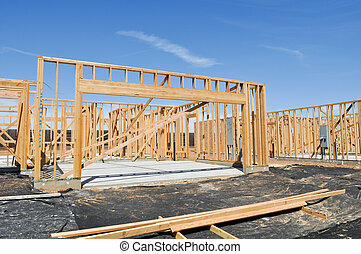 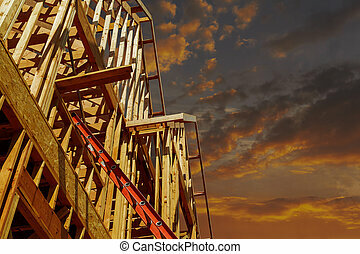 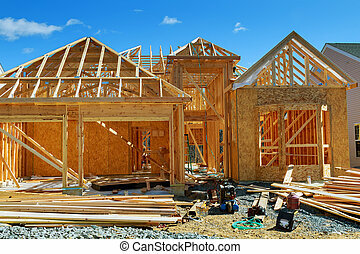 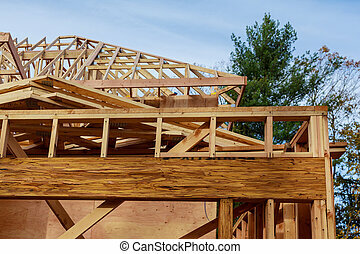 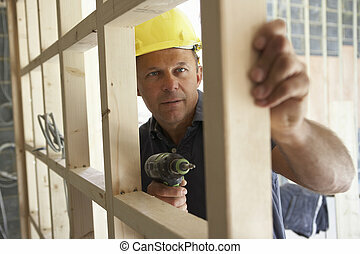 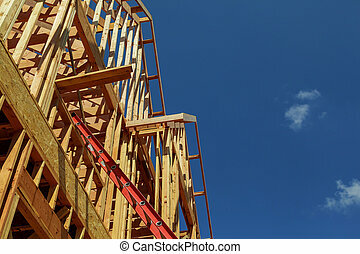 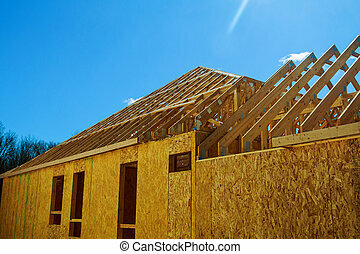 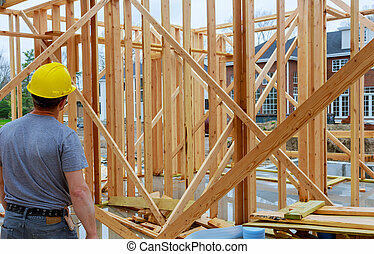 Construction worker building timber frame new home. 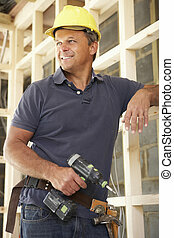 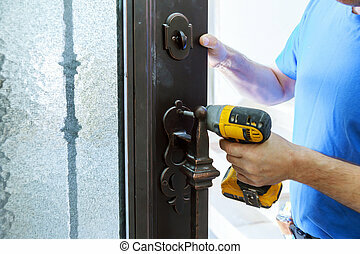 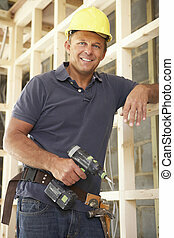 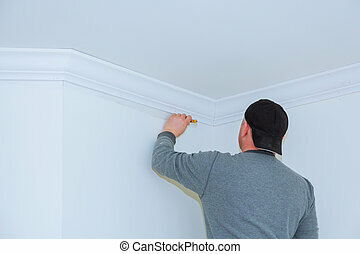 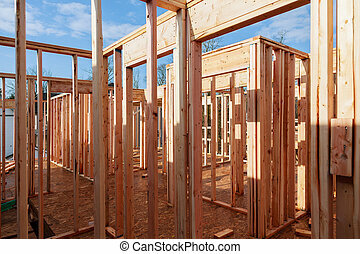 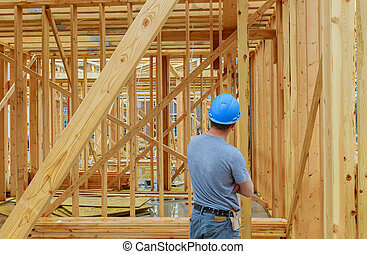 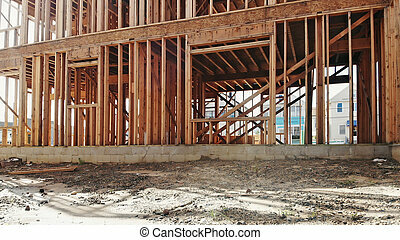 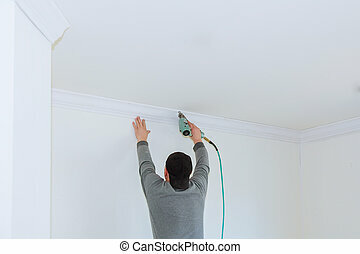 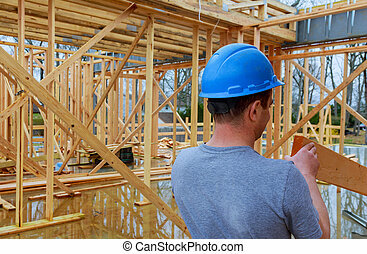 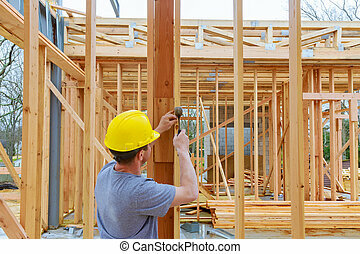 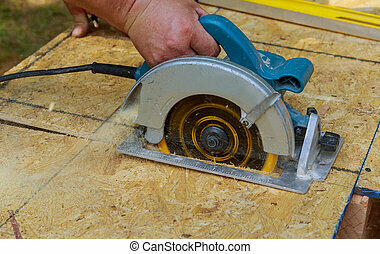 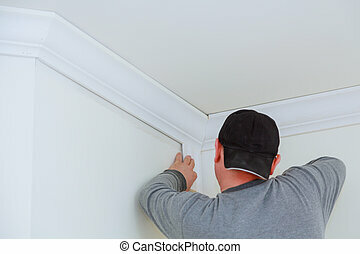 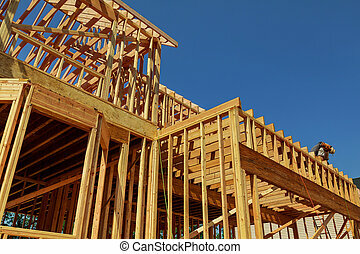 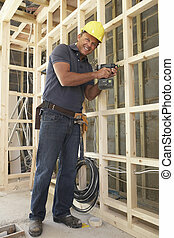 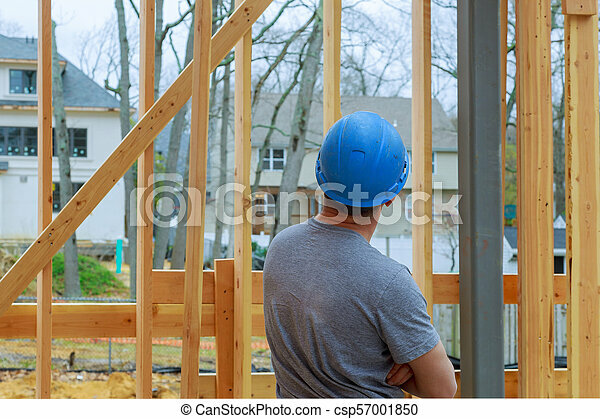 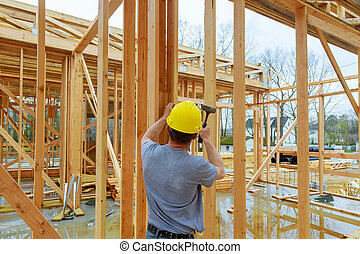 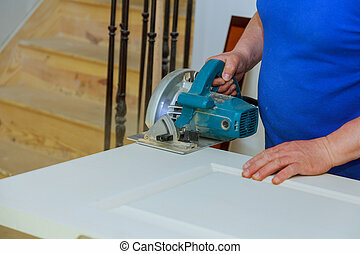 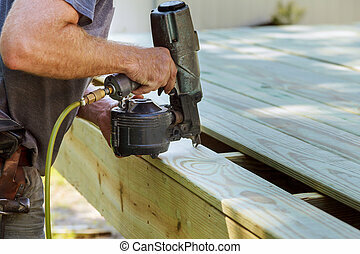 Construction worker building timber frame in new home. 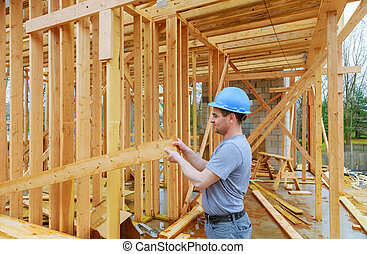 A laborer carrying wood beams. 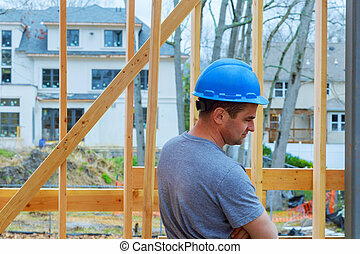 Authentic construction worker on an actual construction site. 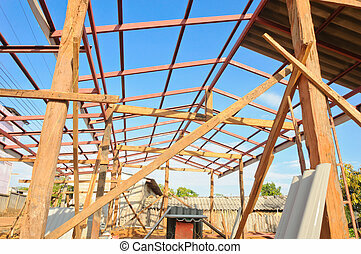 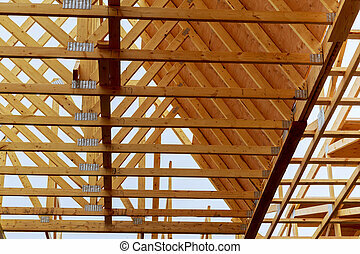 New build roof with wooden truss, post and beam framework. 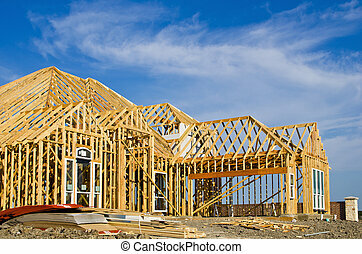 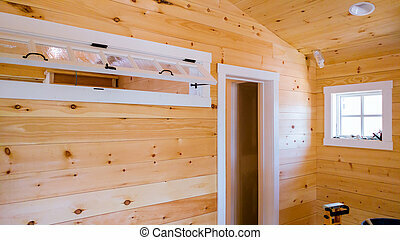 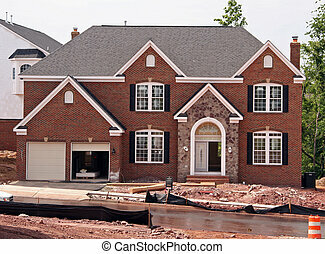 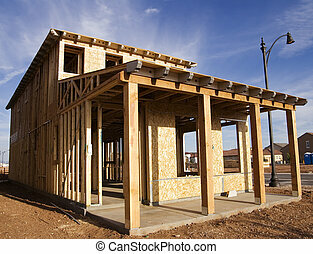 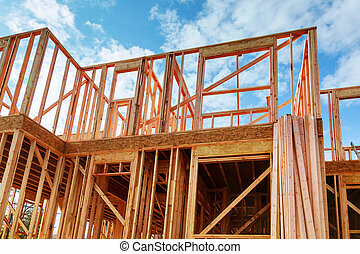 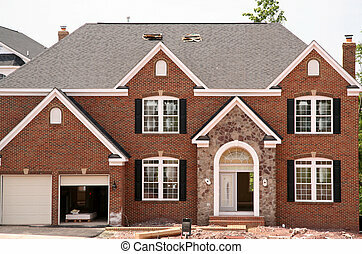 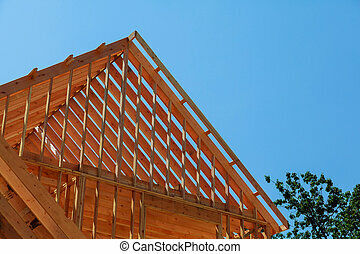 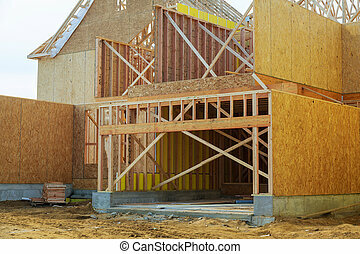 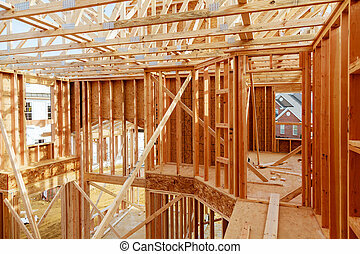 New home construction framing Timber frame house, real estate.